We all know what time this is. It is summer! School has ended for most people and they are on vacation. In fact, you may be reading this on the plane going somewhere. The reason I am writing this post is that there will be new fourth graders next year in my school. And I like to show them all the extremely fun things and also the challenges we have faced in our class. So the first thing that I like about fourth grade is the kayaking trip. It is a trip where you go to the Scarsdale pool and you ride kayaks. It is something that only fourth-graders can have! You go to the pool and kayak on all various categories of boats. You even capsize a boat! My favorite variety of the boats is the stand-up. This is a boat that requires you to stand up while you are paddling. It may sound a little bit hard, but don’t worry, it is actually quite easy when you get the hang of it. One of the really challenging events in fourth grade it is the Revolutionary War books. These are informational books that had almost everything about the Revolutionary War. We had to write about 12 topics and one focus topic, along with a historical fiction story. It took about 3 months to complete it and after all of the hard work, we finally presented the project. It was hard but fun. The state test is always an important part of the year because we do so much preparation for it, although we still don’t get the results till next September! Sorry, got a little off track. But seriously, this was tough. The fourth-grade state test is unlike the third-grade state test. And that is because we have an additional science state test! The test includes two different variations, the written one and the experimental one. We got to experiment with magnetic objects, the gravity of different items, and loads of other interesting stuff. I save the best part of the fourth-grade for last. Drum roll, please… Wait we don’t have drums? Okay just use the dramatic flute. But the best part about fourth-grade is BLOGGING! There are so many different things you can write about and you can share them with the world. It has a lot of responsibility but nevertheless, it’s a wonderful experience. In conclusion, I think that fourth-grade is exciting and fun. It is also just really challenging. Fifth grade would be a different challenge I am looking forward to. But I’ll still have awesome the memories of 2018. I hope you will enjoy blogging too. My Top 3 favorite video games. Hello fellow readers! I am going to be talking about my top 3 favorite video games! Now, you know that I am a gamer with a YouTube Channel (if you have not checked that out you should, I will put a link at the end of this post that will take you to my Channel). I play many different games. But for today, I will be talking about the games that I will recommend and that I played a lot. Without any further ado, let’s get right into my top 3 favorite video games! Coming in #3 is Fortnite Battle Royale (let’s call it FBR). I know what you guys are thinking: Why did this not come in the #1 spot? Well, the reasons this game did not come in first place: A. Other games are more fictional, and not as life-like as FBR. I prefer fictional games. But anyway, if you don’t know what FBR is, it is basically a game that connects millions of players to a server. Then, it pins 100 players against each other and makes it a “Battle Royale”. The objective is to be the last one standing. You start off by jumping off a flying bus and deploying a glider. Then, you find a place to land. After that, you find weapons, material, and loot that help you survive throughout the Battle Royale. And to make it a little bit harder, there is a deadly storm coming your way and eye of the storm is shrinking. The smaller the storm gets, the less space there is for the players to separate, forcing them to fight each other. And to top it all off, there are tons of different skins, harvesting tools, gliders, and emotes that you can collect with In-App-Purchases. Coming in at #2 is Sonic Forces. Also known as Sonic project 2017, Sonic Forces came out in November 2017. This game is not like other Sonic games at all. It is sticking to the modern Sonic gameplay and the graphics are really sharp. Many people do not like this game because of a lot of things, but I really love this game. The only flaw I can think of is about its length. It is one of the shorter Sonic games, only having up to 30 stages. But the point is that you can complete all the 30 stages, it does not necessarily mean you have 100% completed the game. You can still get all the Red Rings, Numbers, and Silver Moons. And furthermore, there is a lot of free downloadable content, such as Episode Shadow, a story of how the main villain Infinite, was created by Shadow the Hedgehog. 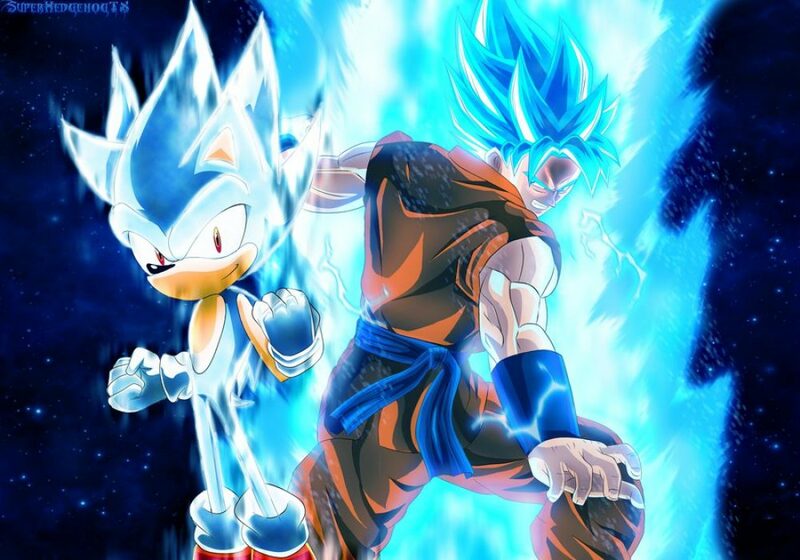 There is also the Super Sonic DLC, allowing you to transform into a Golden version of Sonic. And there are also just DLC that contain outfits. Overall, I really like this game and it very well deserves the #2 spot on this list. Coming in at my #1 favorite video game is Sonic Mania Plus! This is a sequel to the first Sonic Mania, which is a comeback of the old style Sonic games! And by “old”, I mean back in 1991, 1992, and 1993. But this has different levels, music, and story, while still supporting the old style Sonic gameplay, stages, and characters. The difference between Sonic Mania and Sonic Mania Plus is that the Plus version adds two new characters that seemed to be forgotten throughout the Sonic series, and that is Mighty the Armadillo and Ray the Flying Squirrel. These were not used in years and the latest installments to these characters in the Sonic franchise is the comics. And I mean the very old comics. But now they are back and they are better than ever! This game is just so nostalgic and is everything a Sonic game should be! So there you have it my dear readers: my top 3 favorite video games of all time. I hope you enjoyed this post and stay tuned for the next one. Later gamers, I’m out! Summary : In this article by Diane Christiansan , the extinct elephant birds egg was found in Buffalo Museum of Science. Apparently, this egg was in the museum since 1930. This egg was even bigger then the biggest egg that we have today! That’s a lot of omelets! The reason the egg was in the museum for all these years was because it was mislabeled. They thought that this one was their only plaster egg. But then they found a plaster egg! The elephant bird went extinct in the 17th century. That was over 300 years ago! And the egg still looks as good as new! Personal Response: I chose this article because I like history a lot. I’m fascinated with extinct species. I hope there are more articles like this to come. Hey guys, I’m back! Today I am going to be talking about a new game I am getting called Sonic Mania Plus. I know what you are thinking. You are getting Splatoon Two!!! Why are you getting this new game? Well, I have and answer to that. As I said in one of my recent blog post, I got Sonic Mania. And it said in the release trailer that if you already have Sonic Mania, you can get Sonic Mania Pluses Content for free! So like I said in my last blogpost, go subcribe to my channel, because I am going to make videos about this game and Splatoon 2! Later Gamers. Summary: In this article by Daksha Morjaria, a Germany company named Festo has reportedly created a robot version of fruit bats, also called flying fox. This robotic replica weighs 20 ounces and has a wingspan close to 90 inches. The biggest challenge when creating this masterpiece is trying to copy its aerodynamic wings. Controlled by two motors, they contain a primary and secondary section that copies the bat’s movements as good as it can. “The models flying membrane if wafer-thin and ultra whilst also robust.” said Festo. It consists of two airtight films and a knitted elastane fabric, which are welded together at approximately 45,000 points. Due to its elasticity, it stays almost uncreased, even when the wings are retracted. The fabric’s honeycomb structure prevents small cracks in the flying membrane from getting bigger. This means that the bionic flying fox can continue to fly even if the fabric sustains minor damage. Personal Response : I chose this article because it is cool how throughout the years, mankind is starting to make more realistic robotic versions of animals! I really hope they make more robots that could help us in the future. Tweet: A robotic bat! First the manta ray, then the dog Aibo, and now this? Sooner or later we are going to start making robotic flies!!! DAU #foxmeadowpride @dogonews. Getting Splatoon 2 and youtube channel!!!!!!!! Hey guys. I’m back. Sorry that I did not spend a lot of time doing the blog-posts lately. I’ve just been with my family this spring break and did not really have any time for blog posts. But enough chit-chat, lets get right into today’s post. As the title suggests, I am getting a new game. I’m pretty sure a lot of gamers out there know what Splatoon 2 . And if you are not familiar with the game, it is basically about creatures called Inklings and they are half squid and half human. And you can customize your Inkling and to online battles with ink guns. I will put the trailer here. Okay, now that we got Splatoon 2 out of the way, I could tell you about the other thing. In the title of this post it said that I also had a YouTube channel. And I do. It’s called Domni King. I just made my forth video 3 or 4 weeks ago. . Please visit the channel and subscribe. That’s all I have for today, so you you on the next post. Later gamers. Video games are the best hobby. Many people have different hobbies. Art,Cooking,Sports, even Math! But for me, the best hobby will always be videogames. People always say that video games are bad for you. But the way I see it, videogames are a path that anyone could take. The reasons I like video games are because it helps with friends, it helps with stress relief, and most importantly,it gives you better hand coordination. The first reason I think video games are the best hobby is because it helps with friends. For example, one time, when my friend Nick came over to my house, he was all gloomy about the day he had. “ Hey Akif “ he said in a pessimistic voice. I could tell he was not having a really good day. “ Hey Nick, I just got a new game on my switch, want to play? “ I asked him. “ Sure” he replied. I showed him how to play and he ended up really liking the game. “ This is awesome! “ he yelled in and enthusiastic voice.I was really happy that he was not sad anymore. I think video games helps with friends is because I cheered him up. I think video games help with friends because we played well with each other. Not only do video games help with friends, but it also helps with stress. An example of that is, once, I was stressed after a basketball game. We had just lost and nobody had passed to me. It was like I was never even there. It was flatout a bad day. “ I wish I had just participated “ I told myself. So I just did what I would normally do. Play video games. I got out my console and started to play. I played for 20 minutes, and everything bad about my day turned to flames. My sister came into my room and said, “ How was your game “. “ What game? “ I replied. Video games help with stress because they calm you down. Video games help with stress because it keeps you occupied. Perhaps the most important reason that video games are the best hobby is that it helps with hand coordination. An example of this is when I wanted to learn to type fast. I used to always want to type fast. I used to see my dad type really fast and I wanted to do it to. But for some reason I just could not get it. “ Why can’t I do it like my dad can” I thought to myself. So I started to storm the internet for a way to type fast. “ I can’t find anything! “ I said to myself. So for a break, I went on my computer to play online video games. And the next thing I know, I memorised all the keys from the video game. The next day at school, when I wrote something in the computer lab, I noticed that I started to notice that I was typing fast. “Is this really happening?” I told myself. I think that you should try to play computer games to improve your hand coordination. I think video games helps with had coordination because they help you memorize the keys fast. I think video games help you with hand coordination because it does not require much time to master as other methods. So those are this reasons I think video games are the best hobby.This is important because people think that video games is a TV and a controller. But the way I see it, video games are a whole new world. It’s a world we have access to on a TV screen. Video games are something you should embrace as a child. It should be past on. But always remember this. There is a game for everybody. 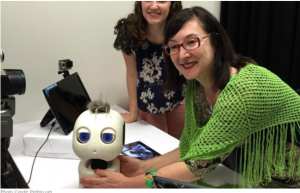 In this article by Sarah Benton Feitlinger, a robot named RAVE ( Robot Avatar Thermal Enhancement ) is helping infants to speak. I know what you are thinking. Why can’t the parents teach the babies how to speak. Though that is a good idea, but some parents cannot do this due to long schedules or if there child is deaf. So that is why they invented this robot. The learning process begins when the robots thermal cameras detect small changes in body temperature, with is associated with alertness. This, combined with the babies engaged expression on its face, causes the robot to turn its head and guides the baby’s attention to the computer screen. For example, if the baby points at the computer screen, the robot may say something, then the robot would put on a video that teaches the infant words in ASL, or English. I chose this article because I know how it feels like to never have a family member around. I used to never have my father around. So this is for kids like me without any parents to help them speak. This robot is a life saver to the world. They even help deaf people. This helps all people. I think that the people that made this robot had empathy for all the kids out there. If this was in my time, we would have no need for school. I’m not saying that school should be canceled, but speece lessons are a definite no. Tweet: A robot that can teach kids to speak? This will end the work of parents trying to teach their kids to speak. For winter break I went to Maui in Hawaii. We had a great time. First we went to New Jersey to get to the airport. But we did not travel straight to Maui. We first went to los Angeles and then we went to the plane to Maui. The hotel we went to was called Hyatt regency. The next day, we all went to the beach and explored around the hotel. And after my sisters went to the pool, me and my dad went to a sushi place. The next day. I finally went to the pool’s water slide. Or so I thought. It was closed because of the time. So I tried to do the next day. But I could not because my family was going on a trip to Hana. If you don’t know, Hana is one of the main reasons people come to Maui. It’s supposed to be an experience of a life time. It was pretty cool. They even had a stop that had a beach with black sand. Really, look it up. We had tacos on the way there. We were so tired when we got back at the hotel I could barely even walk. kassatly on Working with Mr.DeBerry in non-fiction.